Cambridge Multi-Sport | Cambridge Multi-Sport is a group located in Cambridge, MD – home of the Ironman 70.3 EagleMan and Ironman Maryland triathlons! Cambridge Multi-Sport (CMS) is a group located in Cambridge, MD on Maryland’s Eastern Shore. 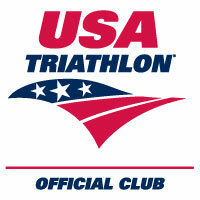 Our members span a wide range of interests centered on swimming, biking and running, including triathlons. All abilities are encouraged to join in the fun! CMS is represented by a diverse group of individuals from beginners to seasoned triathletes and everything in between. We invite you to join us for our next workout or contact a coach to learn more. CMS has its roots in the group training activities of triathletes in our area, especially as Cambridge, MD plays host to the IRONMAN 70.3 EagleMan triathlon hosted in June of each year and IRONMAN Maryland in the fall. It embraces a diversity of athletes seeking out individual goals and a fun group support network. Want to learn more? Check us out on FACEBOOK! Volunteering is a big part of our club and all of our members are expected to help out at some time during the year for one or more of the following special events: Ironman Eagleman, Firecracker Kids Tri, or Ironman Maryland. We envision a community of individuals improving their lives through physical fitness. To help members, regardless of fitness level, accomplish their personal athletic goals in the sports of swimming, cycling, and running. Safe participation in any or all of the three disciplines. Setting and achieving personal fitness goals. Competition as a positive motivational force. Diversity of ability, background, and perspective in our membership. Stewardship of the environment and infrastructure where we train.